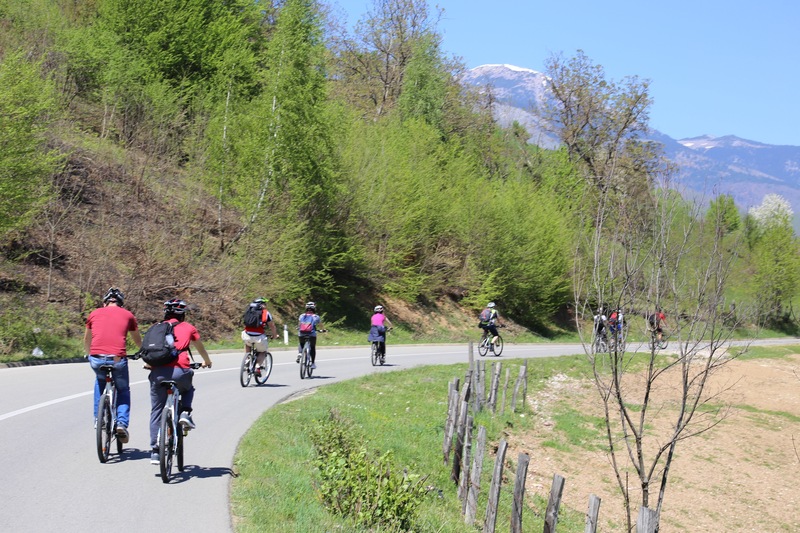 This bicycle adventure starts at the breathtaking waterfalls of Radavci before continuing on through the ancient river valley of Drin, including stops to see the recently-discovered ancient Roman mosaics in Dresnik and our final waterfall of the day: the spectacular multi-tiered Mirusha. 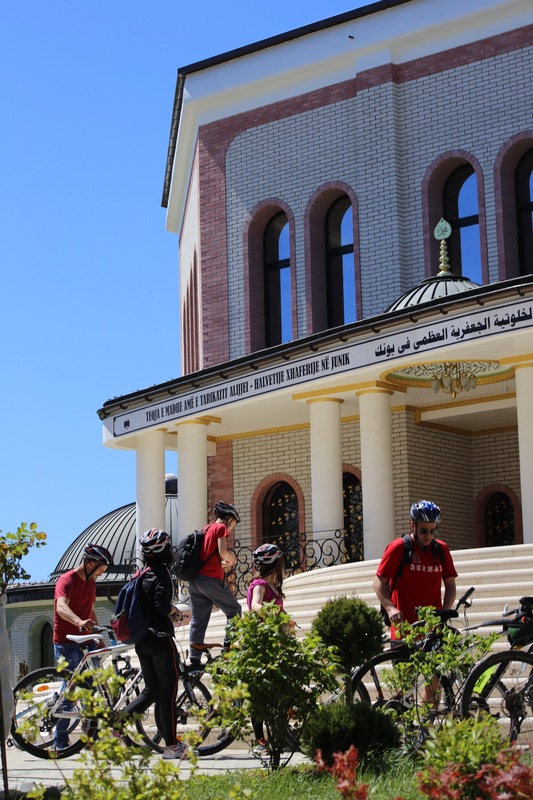 On the second day, we continue across the heart of Dukagjini region to see its traditional architecture and war memorials that tell the story both of the sorrow and hope of its people. 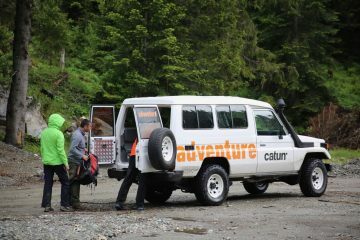 DEPARTURE TIME 8:00 AM on Day 1. 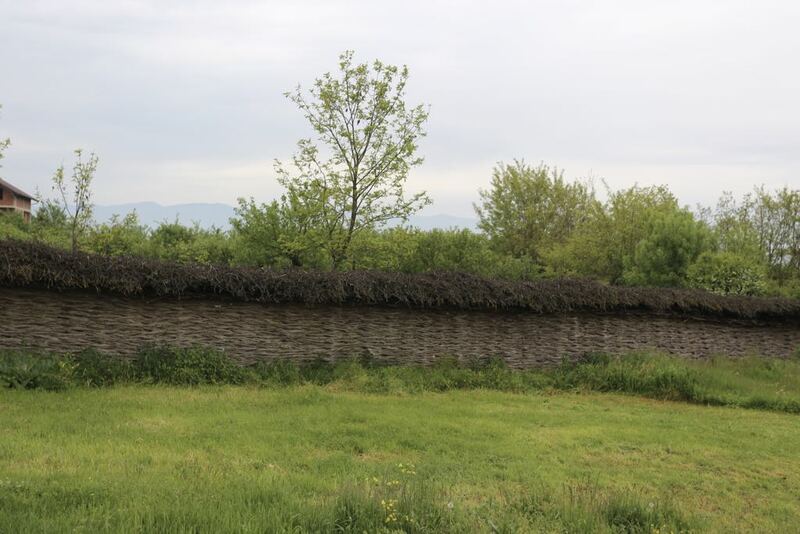 Prishtina -Radavc. Departure at 8:00, from your place in Prishtina. Arrival time: 09:30. 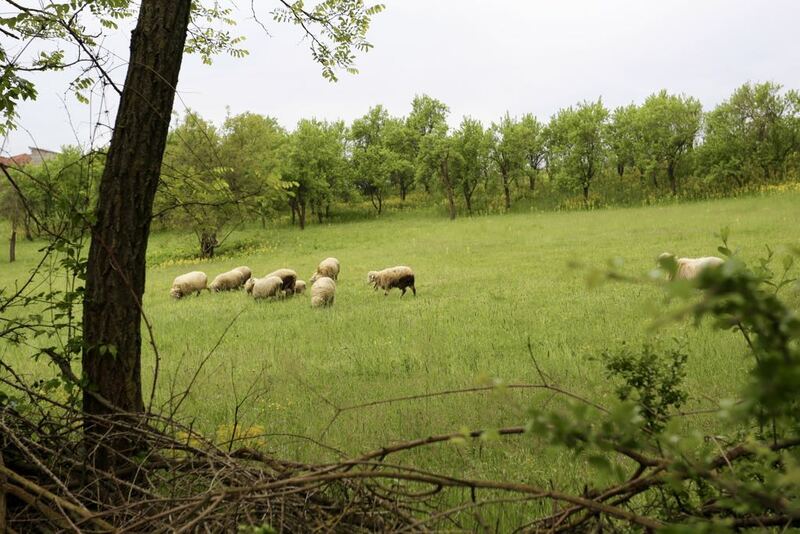 In the morning, you will be picked up and make the 90-minute journey to the village of Radavc near Peja. 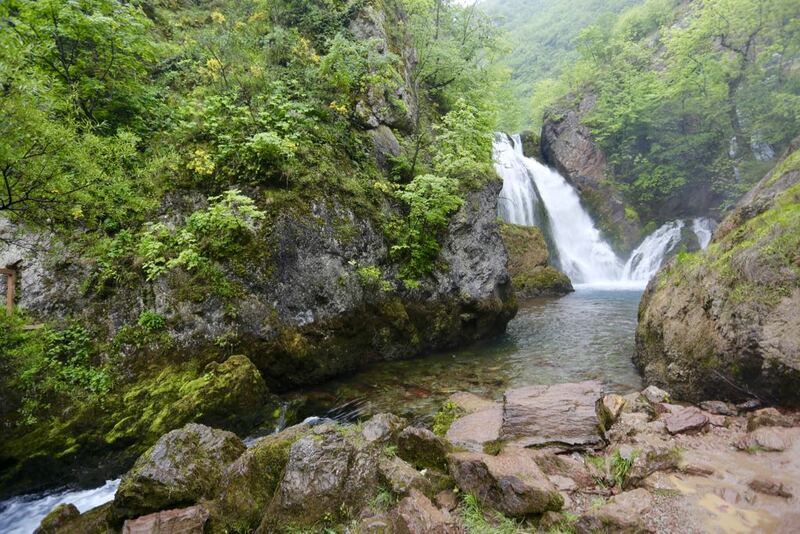 Today will be a celebration of some of Kosovo’s most beautiful waterfalls. 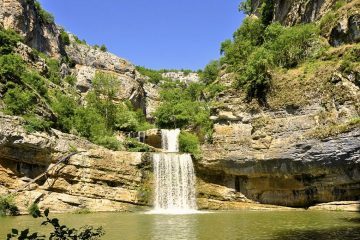 We will start at the source of the country’s longest river, Drini i Bardhe or White Drin, which takes the form of a 30 meter high waterfall tumbling in white cascades from the rock. 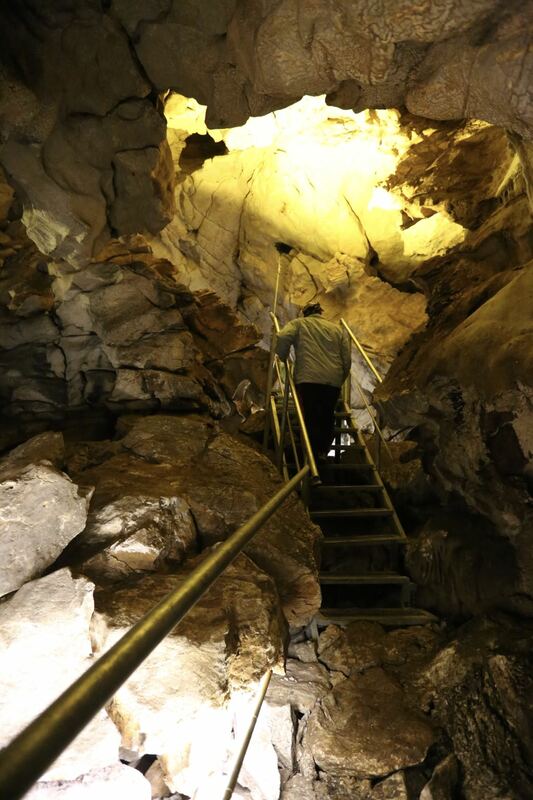 After an easy 10 minute walk, we will reach Radaci cave, which has only been open to visitors since April 2016. 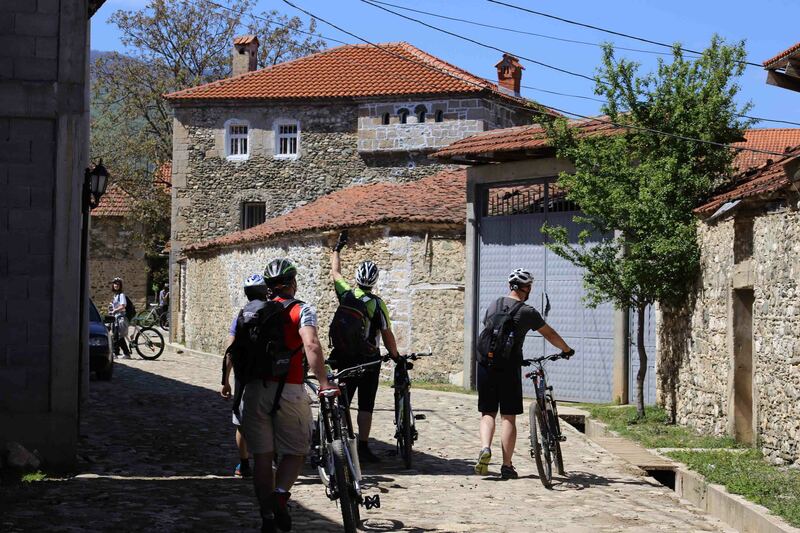 From there, we will begin a relaxed 27 km bike ride through the region’s scenic villages to one of Kosovo’s most recently discovered archeological sites: an ancient Roman town discovered in 2012 near the village of Dresnik, which is home to a beautifully preserved 200 m² mosaic. 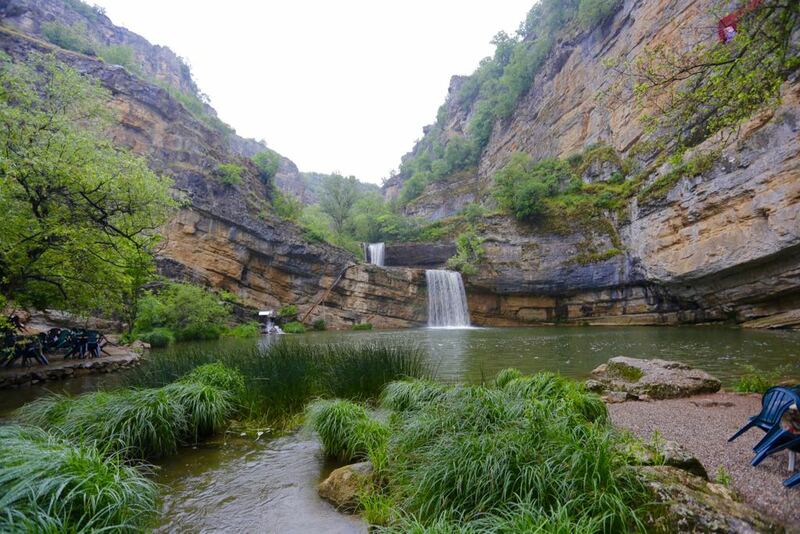 We will eat lunch overlooking this impressive site before riding the remaining 13 km, including two km of off-road portion, to our second waterfall of the day: magnificent Mirusha. 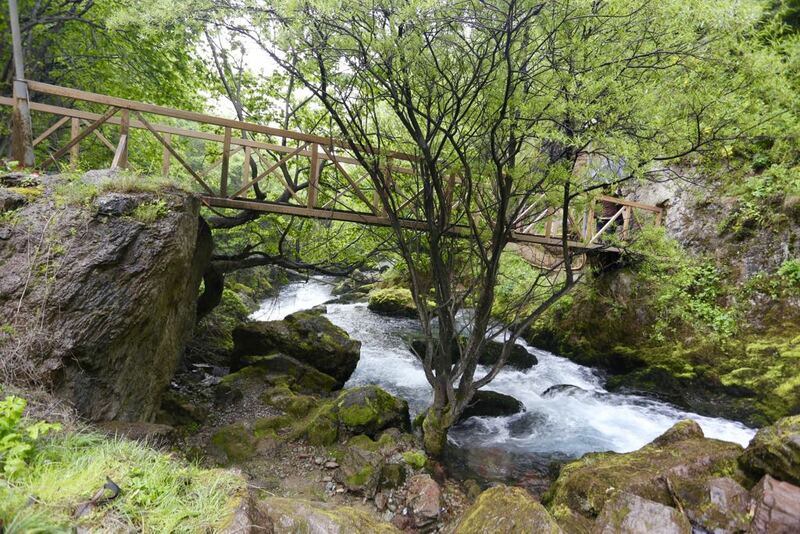 There will be free time here to explore the multi-tiered waterfall before meeting our minibus to the western city of Gjakova. 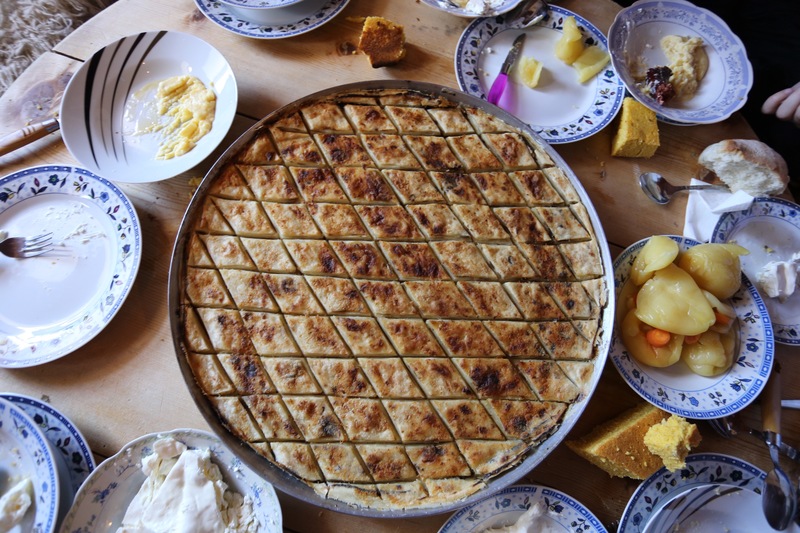 We will stay in the heart of the city at the well-appointed Çarshija e Jupave Hotel, where we will also enjoy dinner together. 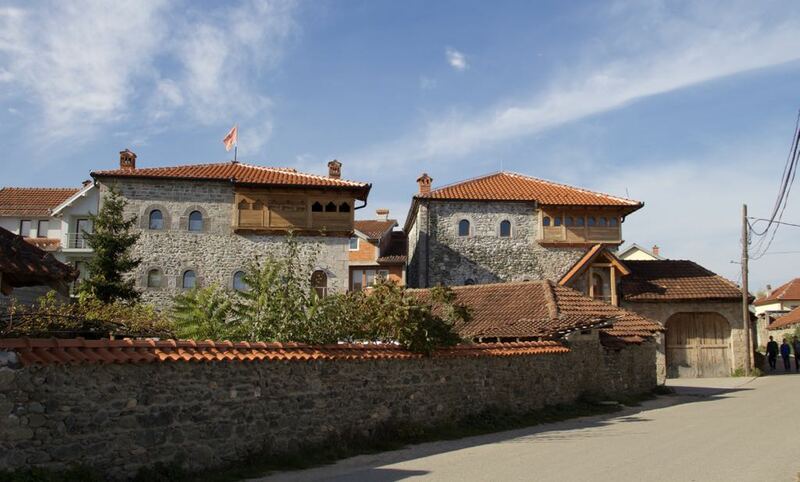 After breakfast, we will take a walking tour of Gjakova’s major sights — including the 16th century bazaar, which was completely rebuilt following its destruction in the late 1990s and showcases some of Kosovo’s finest local handicrafts. From there, we will begin our 31 km bike ride back north, making two significant stops along the way. First, we will make a difficult but important visit to the Meja War Memorial, which honors the over 300 people who were killed here during one of the deadliest massacres of the 1999 war. 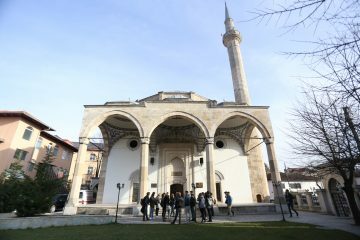 Then, as we enter the historic village of Junik, we will visit Kosovo’s largest building of Sufi tekke (place of worship) to learn about this fascinating Islamic sect and its history in the region. 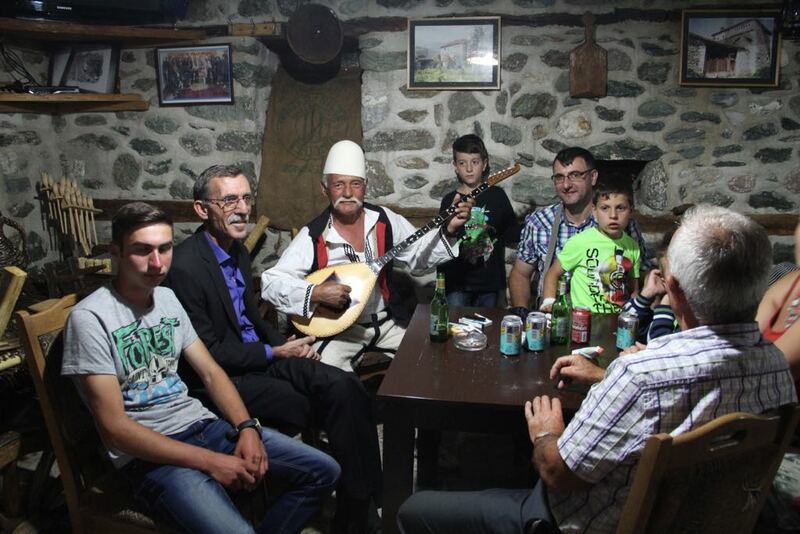 Finally, we will be welcomed into a traditional Albanian stone house, or kulla, to experience true Kosovo hospitality. Following the visit, a bus will be waiting to make the two hour return trip to Pristina. In the evening, a bus will transport you to Prishtina.